According to the orientation of the gallery, focused on the promotion of 20th Century art and design, the exhitibition mentions Le Corbusier’s quote “Le dehors est toujours un dedans” (1923) and displays a selection of photographies about architectural insides and outsides realized by Valentina Angeloni, Matteo Cirenei, Giancarlo Consonni, Daniele De Lonti, Tancredi Mangano, Marco Menghi, Antonio Salvador. Next to these contemporary photographers the gallery also proposes a special section of antique photography with shots by Eric Mendelsohn, Theo Van Doesburg, Ezra Stoller, Mario Crimella, William H. Short. Once again architectural insides and outsides are protagonists of the exhibition. “Inside-Outside. 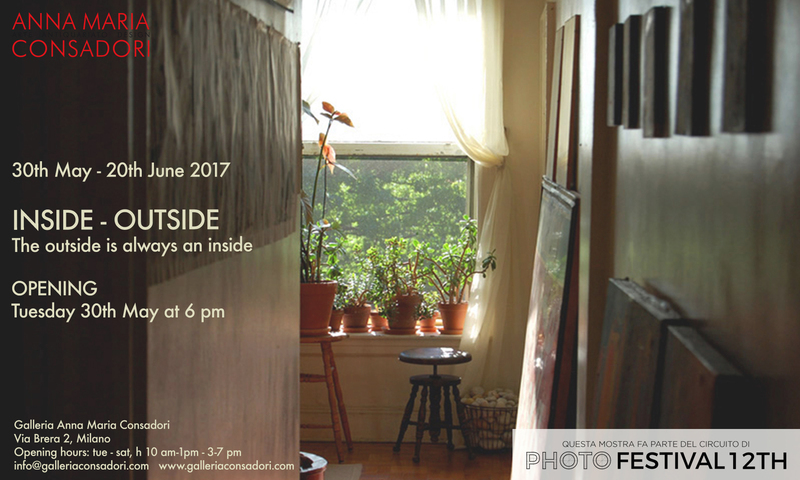 The outside is always an inside” will be open at Galleria Anna Maria Consadori until the 20th of June.